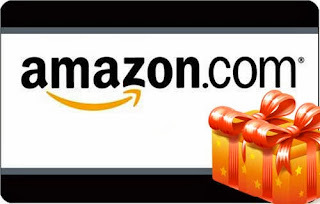 UPDATE: The winner of the $25 Amazon.com Gift Card is Andrew: “I've loved Indian food, as well as other Asian food for as long as I can remember. This was due to the exposure that you get to it living in Sydney, which (as I'm sure you know) is very multicultural. I use lentils in all kinds of dal dishes, changing the spice mixture slightly, as I please each time. And then, of course, there are chickpeas, broad beans, etc. There's just so much available for a good low fat diet, and it's delicious, too! Congratulations, Andrew! Your gift card will be emailed to you soon. Thank you all for participating. We enjoyed reading your responses and are delighted that you have subscribed to our blog. Wow, how time flies! We're just a week away from Dussehra, which falls on Sunday, October 13th this year. Dussehra is a Hindu festival that celebrates the victory of good over evil. This year, we're celebrating the holiday in our own way by participating in the American Heart Association's Heart Walk and 5K Run in our community. It's time to take a STAND against Heart Disease! My mom and I have been participating for the last few years and cannot think of a better way to celebrate Dussehra than joining the cause once more. TAKE A STAND for your health! Share your thoughts and you can win. One winner will receive a $25 Gift card to Amazon.com, delivered via email. 1) Subscribe to Indian Khana Made Easy by RSS. Come back and let me know you've subscribed in an additional comment on this post. 2) Become a fan of Indian Khana Made Easy on facebook. Come back and let me know you became a fan in an additional comment on this post. 3) Follow Indian Khana Made Easy on Twitter. Come back and let me know you've followed in an additional comment on this post. Deadline: Monday, October 14, 2013 at 11:59pm EST. Thanks for participating Kelly D and good luck. I love adding curry to chicken dishes to spice it up for my family. Thanks and good luck Aubrey. What a great idea to join that cause, Jahnavi. Enjoy the walk and the festival! Thank you for your recent comment on my photo blog. You've reminded me that I've missed far too much on this site of yours. And that's why I've liked your FB page and have added you to my follow list on Twitter. I've loved Indian food, as well as other Asian food for as long as I can remember. This was due to the exposure that you get to it living in Sydney, which (as I'm sure you know) is very multicultural. I use lentils in all kinds of dal dishes, changing the spice mixture slightly, as I please each time. And then, of course, there are chickpeas, broad beans, etc. There's just so much available for a good low fat diet, and it's delicious, too! I'm glad that you do incorporate lentils into your cooking. They are so beneficial to our health and nutritious as I'm sure you know. So far we have 4 recipes with lentils but we will add more. Thank you for participating regardless and hope you enjoy reading the blog. Reader feedback is always helpful in maintaining a good blog. It's not actually the special offer, Jahnavi, but I've clicked to subscribe to your posts by email, as it seems a good idea. I used to use Google Reader to keep up to date with my blog contacts till it folded. I'm now using Firefox's Live Bookmarks, which is simple, but maybe email follow is better. You're my test on this! I used to use Google Reader too...technology is always changing. I use email follow for some of the other blogs I follow and find it as a nice surprise in my inbox whenever I see a new post. Kind of like receiving actual mail instead of bills. A nice way to think of it. Jahnavi. And a big thank you. That's made my day! Fell in love with cumin as a seasoning ever since last year when my neighbor gave me some for lamb kebabs. I've also learned to make Jeera rice thanks to your recipe! That's great Michael. We use cumin in many of our recipes as it's good for digestion and flavoring of course. Have you used any other spices like bay leaves, curry leaves or turmeric? Hi ! I am a medicine student and i want to eat as healthy as i can. One extraordinary spice that fights lots of diseases is curcuma, which i always use it when i cook rice ! Oh how nice. What kind of dishes do you make with the rice and curcuma. Do you add any other spices or vegetables? Thanks for participating in the giveaway and good luck.